Grease the bottom of the Instant Pot with coconut oil, butter, or a vegetable oil spray. 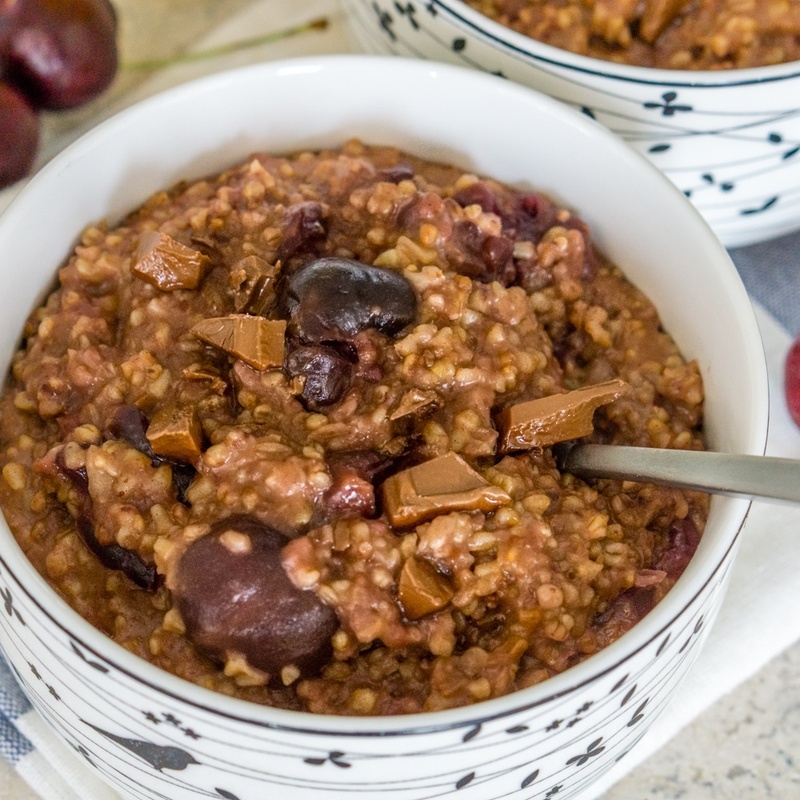 Combine all the ingredients in the Instant Pot - from the steel cut oats to the chocolate chunks/chips and stir gently. Close the Instant Pot lid and set the valve to sealing. Cook on the manual setting at high pressure for 15 minutes, with natural steam release. Once the pressure is released, carefully open the Instant Pot and stir the oatmeal. To serve, garnish with fresh cherries and more chocolate, if desired.